Aloha! 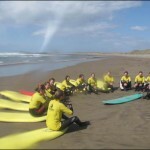 Perfect Day Surf school is based on the beautiful beach of Strandhill in County Sligo. Tom and Simone Hickey originally founded Perfect Day Surf School back in the summer of 1998. Back then there were no surf schools in Sligo and only a small community of surfers. For the last 18 years this small family business has developed a reputation for being one of the safest and most progressive surf schools in Ireland. …this means that whether you are coming along for your first lesson or are coming for more progressive instruction and training, you’re dealing with experienced professionals who are themselves experienced surfers. This makes a big difference! Daughter Elisha and Son Zachary are both actively involved in running the business. 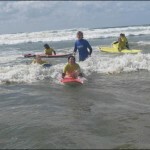 Elisha has been surfing since she was six and is passionate about her surfing and coaching. Zachary also a surfer is happier teaching SUP to our ever growing client base. 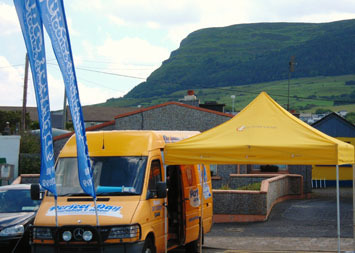 Two seasons ago Perfect Day moved from the busy seafront to a custom premises in Strandhill Business and Technology park. This new premises contains private, secure changing rooms, meeting and sit around area. Tea and coffee facilities. Toilet facilities. Ample free parking. We use the Northern end of Strandhill beach for our surf lessons. Address. Perfect Day Surf and SUP school. 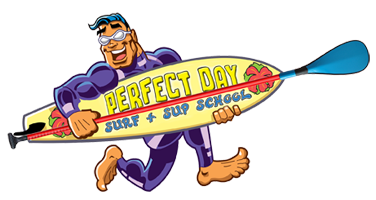 Perfect Day Surf School… Style. Progression… Craic!